HF and I took refuge from the heat at the Met Saturday afternoon. After wandering around the exhibits, we were ready for a snack break. Good thing Laduree was only a few blocks away. We picked up a few to share including the yuzu special and my perennial favorites, the rose and vanilla macarons. One bite and I was in heaven. 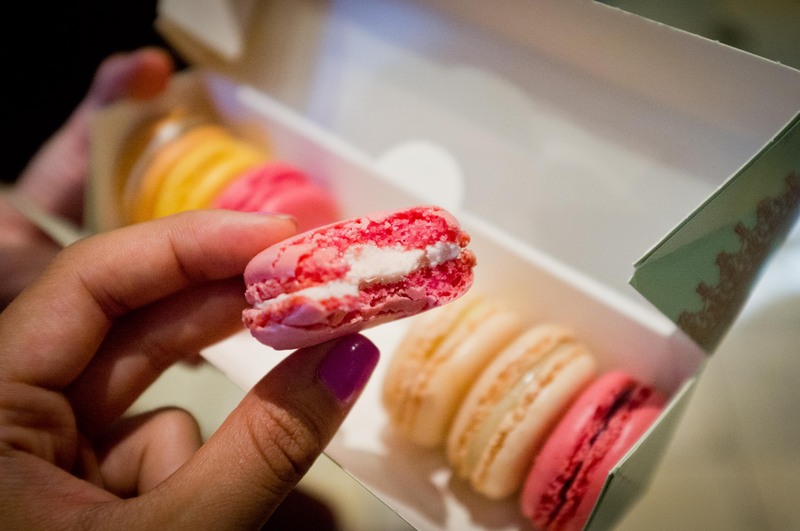 These little nuggets are still in my mind the golden standard to which all macarons shall be measured against.